● The main savings found through Valore Books are ingrained within the book prices featured by the site (up to 90% off retail). ● Shipping for book orders begins at $3.95 for the standard rate. All textbook rentals enjoy free return shipping. See here for more details. ● Reliable coupons tend to highlight the savings already on the site, but there may also be up to 30% or $10 discount coupons available for use. Savings will vary depending upon the item. ● Valore Books offers a Low Price Guarantee on all textbook rentals which promises to match any lower priced rental advertised by a qualifying web competitor within seven days of rental date. ● Items may be returned for a refund within 30 days of purchase. Orders returned due to customer error may be charged a restocking fee, while orders returned due to seller error will receive a full refund of the purchase price. Visitors to the Valore Books website are going to be able to find inexpensive prices for all of the most popular textbooks used at university and college campuses all over the world. Visitors to this website are going to be able to use the online search tools provided by the company to select textbooks using the title or ISBN number, though students will also have the chance to search by author or subject if they need to round out their collection. Most of the textbooks provided by this company are available at discounts of up to 90% off original retail rates, and they have millions of titles in stock. Visitors will also be able to rent textbooks that they do not want to purchase, have the opportunity to resell textbooks, and can become VIP members for even more deep discounts. 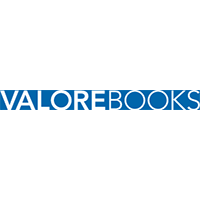 For most up to date offers check out Valore Books on Facebook and Twitter or contact Valore Books Support for any questions.